There are lots of options available for removing skin tags, including snipping them off with scissors, freezing them using liquid nitrogen, tying them off using cotton or dental floss or burning them using a cauterization process. All of these methods, while effective, are invasive procedures and some could lead to the risk of bleeding, infection or scarring. Cauterization and freezing can only be done by a dermatologist in a hospital environment and cannot be attempted at home, so could be costly. Tag removal is considered a cosmetic procedure and is generally not covered by medical insurance policies. Tags are usually removed without the need for an anesthetic, although one may be required for removing a particularly large tag. Vitamin E is found occurring naturally in oily foods such as almonds, sunflower seeds, olives, canola, safflower, corn oil and hazelnuts. Many people take it as a supplement to boost their immune system and circulation or as an anti-ageing aid. It is a safe and well tested product and is sold in either capsule form, or as the active ingredient in a cream to apply directly on to the skin. It has also been shown over many years to be effective in the removal of skin tags as well as for treating other minor skin conditions such as warts, and for improving the general condition and appearance of the skin. If you are diabetic or on dugs to thin your blood you must consult your doctor before treating skin tags using Vitamin E.
To remove your tags using this method you must first ensure that it definitely is a skin tag you are treating. If in doubt, see your physician to seek advice. 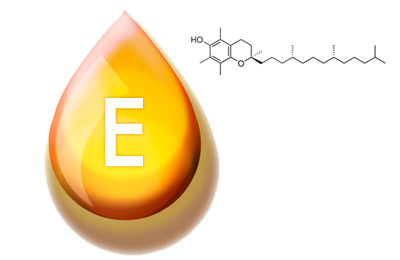 Once you are certain of the diagnosis, buy a tub of Vitamin E capsules from any drug store. You are looking for the capsules with oil inside the plastic coating, not a cream with Vitamin E as an ingredient. Carefully break open one of the capsules and pour the oil onto the padded part of a Band-Aid, then apply this over the skin tag and secure. Alternatively, pour the oil directly onto the tag and cover with a bandage to keep the tag moist and avoid the oil coming off onto your clothing. Repeat three times a day. The skin tag should fall off within a week to ten days with regular application of the oil.